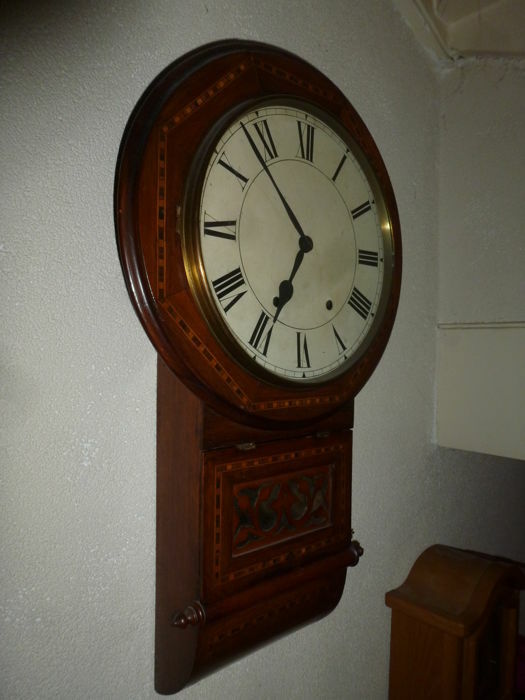 American pub clock - early last century. 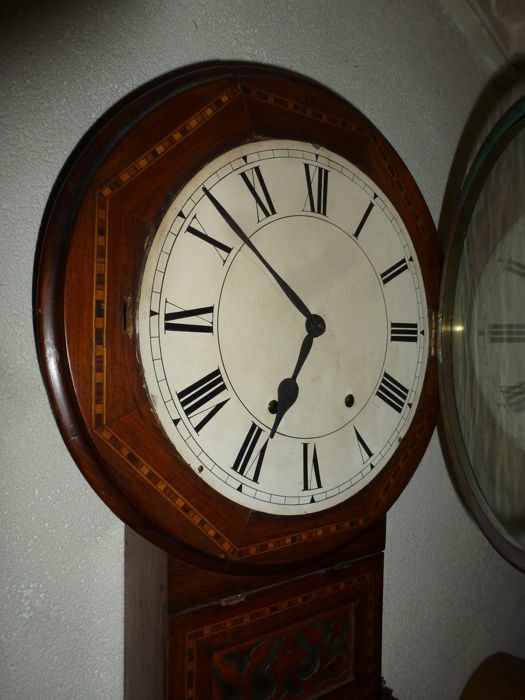 A beautiful, old, good looking American pub clock. 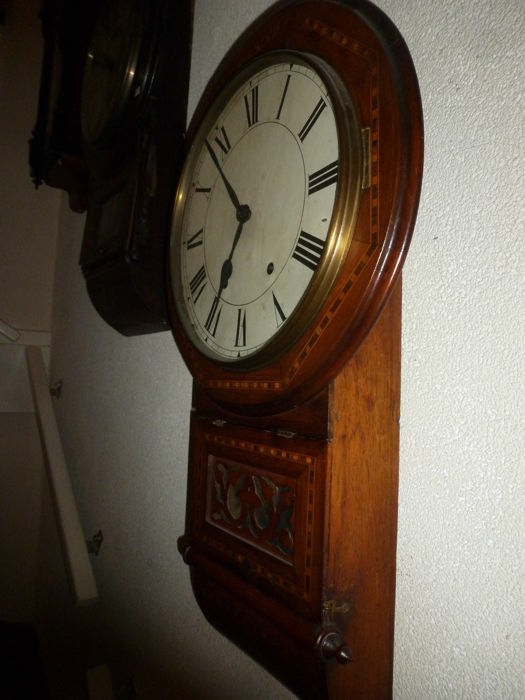 This clock has a well running timepiece and is from the beginning of the last century. Wind it once every 8 days and it will run for a week. It strikes every hour. It can also be heard every half hour. 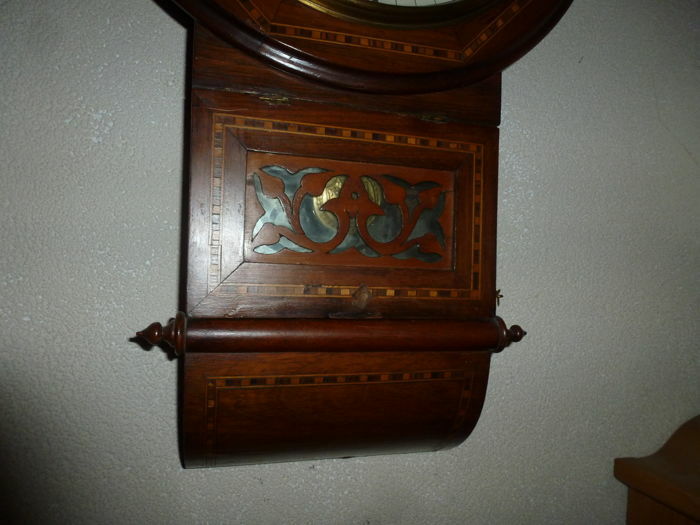 The clock has an undamaged wooden casing with wonderfully inlaid wood. 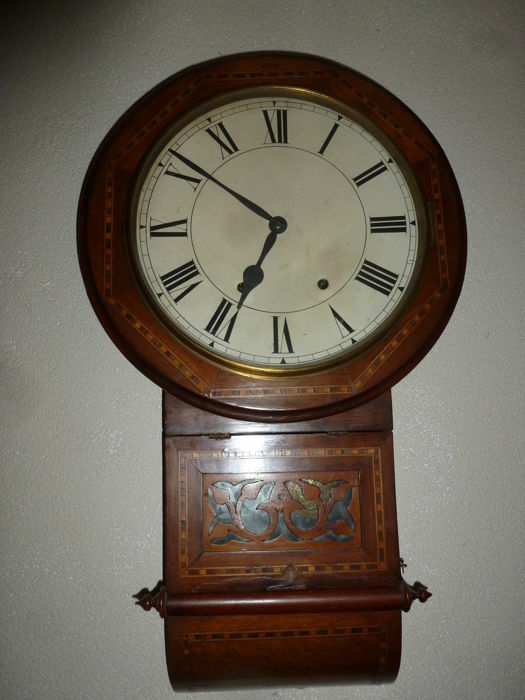 In short, a clock with character, which the buyer will be able to enjoy for quite some time. This clock comes with the winding key. The clock will be shipped well-packaged and registered. You can pick up this lot from the seller: Hoevelaken (), Netherlands.